Nara Schuler is over 40 and not only did she lose 80 pounds, but she was able to reverse her diabetes diagnosis by implementing healthier eating habits. Her book, “Secrets of My Vegan Kitchen” details her weight loss journey and includes recipes that helped her achieve the weight loss success. I only realized or cared about losing weight when I was diagnosed with Type 2 diabetes and was informed by my doctor that I would be under medication for the rest of my life. I had decided to change my diet upon reading of the benefits of a whole foods plant based diet to my disease and the weight loss was a consequence of such change. I really did not like to eat vegetables – I thought they were bitter, tasteless and not fulfilling. However, in the face of a sentence of life disease and increased sickness, I forced myself to eat and drink them. It was very hard at the beginning. I felt quite sorry for myself because I felt I would have to give up all the foods I loved. I felt I would never eat anything tasty again. Fortunately I was completely wrong about it. After my 40s, I have consistently been inconsistent with my fitness regime. I normally exercise or walk during the summer months and gradually stop it during the winter months. I have tried to join gyms, find walking buds but the routine of stopping exercising during the cold months just keep repeating year after year. I get bored. So when I became diabetic I had just stopped exercising for the summer months, and when I changed my diet I did the minimum amount of exercise. 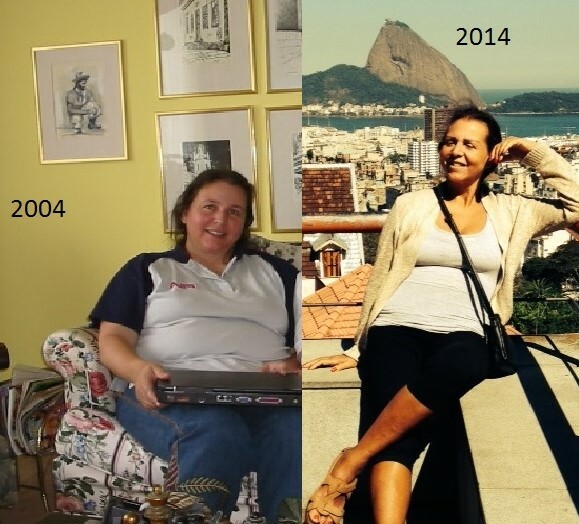 I concentrated all my efforts into changing my diet and the weight kept dropping naturally. I am still a few pounds away from my ideal weight, mainly because I think I do not exercise enough. Right now, I mostly have only two meals a day. Lunch and dinner. I eat a salad every day for lunch plus either a soup or steamed, broiled vegetables, sometimes potatoes or rice, and beans. I have some weakness for sweets so I eat vegan nut bars, cookies or dark chocolate. I also eat fruits for deserts. For dinner I have something more crunchy, raw vegetables like carrots, celery, tomatoes with hummus, sometimes vegan mayonnaise made from cashews or tofu. Quite often I have vegan burgers or vegetable balls, lasagna, I use a lot of nutritional yeast as a cheese substitute but sometimes I use vegan cheeses too. When eating out I am consistently choosing the healthiest option in the menus and quite often ask for modifications when the restaurant does not offer vegan meals. It is sometimes annoying to make requests but I always take the opportunity to educate the servers about vegan food and how easy it is to incorporate them in their menu with a few simple modifications. My greatest motivation is the idea of being independent of medical care as I age for as far as I can. I admire the work of many medical doctors who are pioneering this idea of a diet that can cure most of the biggest threat to our health. Joel Fuhrman, Neal Barnard, Collin Campbell, Michael Greger, John Mc Dougall, and Caldwell Esselstyn. They are the professionals I go to find answers when I do not know something. My health has improved enormously, I do not need any medication and my meals are amazing even though the damage that my body has accumulated over the years from eating a very toxic diet is not 100 percent reversed I feel confident I can have much better ageing years ahead of me. I have kept my weight around 159 to 163 pounds since 2010 and have not worried about it. Ideally I would like to be at 145 pounds but at this point the cost benefit is not worthy therefore I am happy with my weight and do not anticipate it to increase because I avoid eating highly processed foods and animal products.